To extend my question here, I am looking for a translation of the Rig Veda by an Indian author. A translation either in English or Hindi would do. I found one in Hindi by Ramgovind Trivedi, but it is not that great either. Q. I am looking for a translation of the Rig Veda by an Indian author. A translation either in English or Hindi would do. 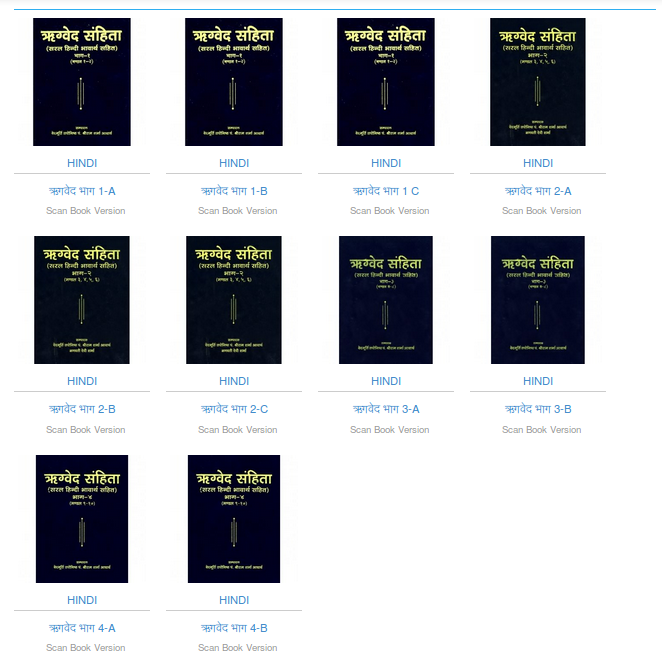 You can refer Rigveda with Hindi translation by Gayatri Parivar at Literature - All world Gayatri Parivar. By Pandit Sri Ram Sharma Aacharya. Part 1 (A,B,C) contains Rigveda Mandala 1 and 2. Part 2 (A,B,C) contains Rigveda Mandala 3 to 6. Part 3 (A,B) contians Rigveda Mandala 7 and 8. Part 4 (A,B) contains Rigveda Mandala 9 and 10. Note that the last page of Part 4-B available for reading online ends with 11th Verse of 97th Sukta of 10th Mandala. i.e further pages are missing in online reading version. Also have a look at English translation of RigVeda at Internet Archive. Not the answer you're looking for? Browse other questions tagged rig-veda translation-request . How can I find and purchase the Vedas in original Sanskrit? How have traditional Vedic commentators intepreted Rig-Veda 1.164.46?